[UPDATE] : I divided the project in two threads, one for THT version and one for SMD version. 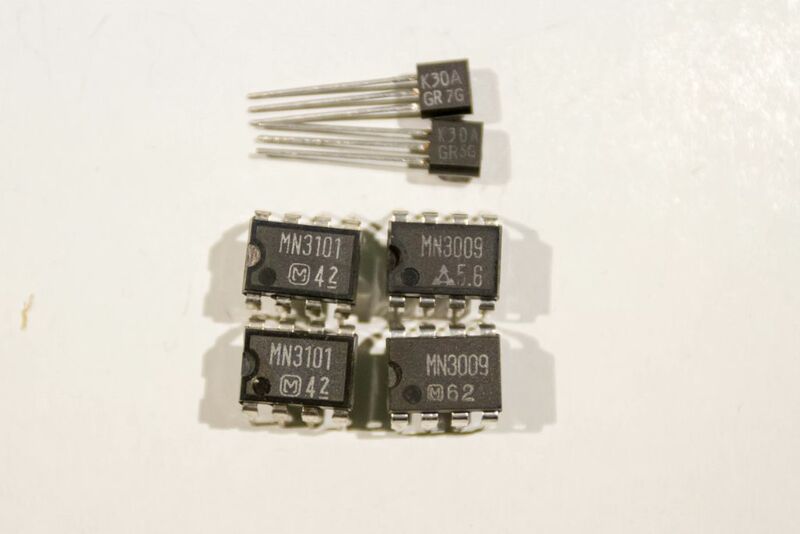 Kits with MN3009s are back in stock. 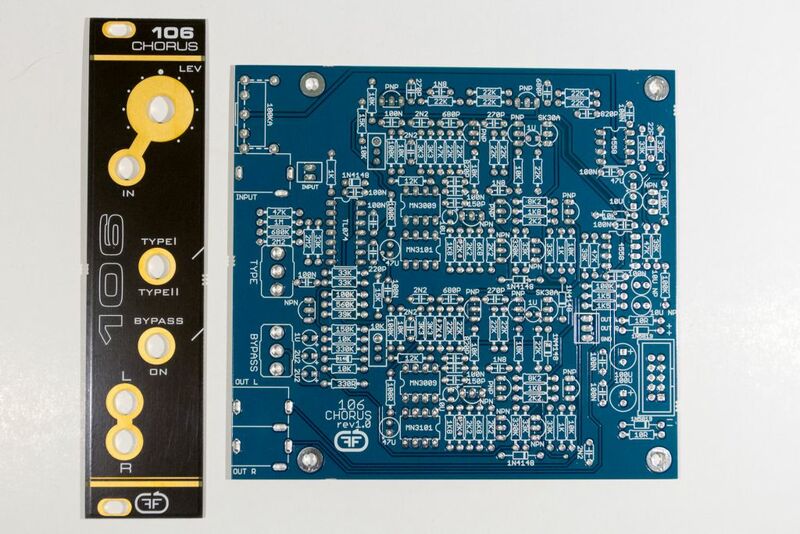 The 106CHORUS is an accurate recreation in EURORACK format of one of the most sought after choruses, the one from a famous analog polysynth from the eighties. 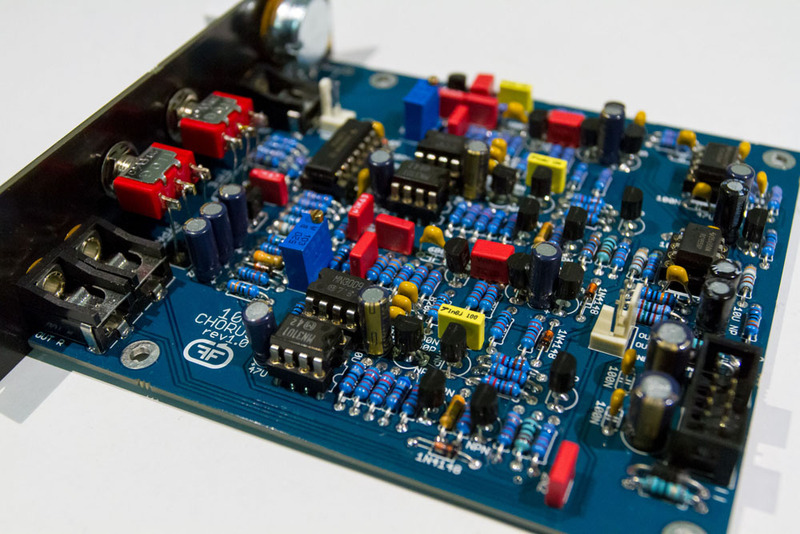 This project is not exactly for beginners, but has the advantage that most of the parts needed are available at most parts distributors, the only rare/expensive parts are the BBD delay chips (MN3101 & MN3009) and the Toshiba 2SK30 FETs. 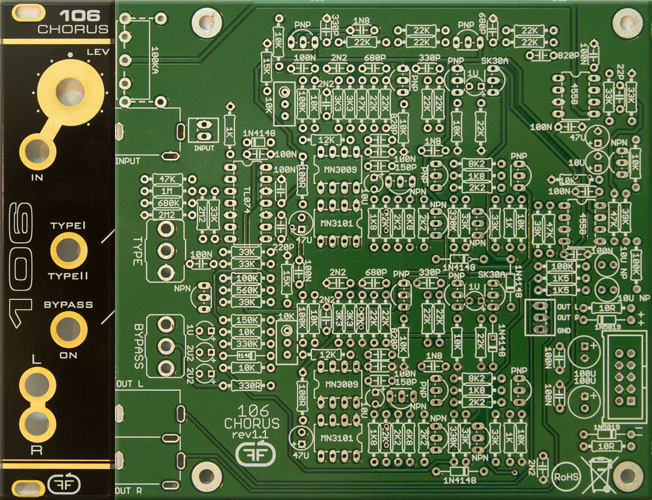 The THT PCB is heavily tested, tens of boards were built. Please read the bom and manual before buying, to know all the details required for the project. First demo is a simple sound from Ambika to 106 Chorus. In second demo we used 2 System-X VCOs to 106 Chorus. I would like 2 KIT3, please. I would like 1 Kit 2 please. I would like a kit3 for USA shipping. In for kit 3 in the US. (Or kit 2 if you run out of stock on kit 3). I'd like a kit 1 please! One kit 3, or kit 2 if you've run out of those please! PM'd for a kit 2! 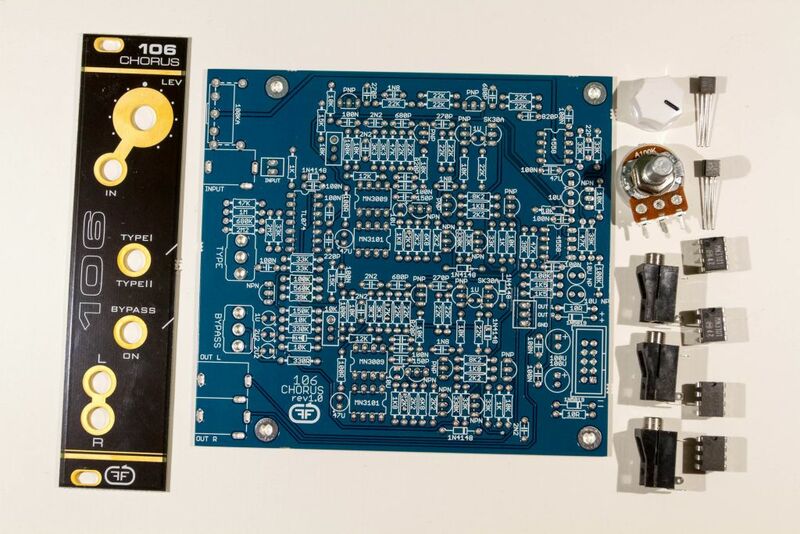 How much for PCB only? I'd like 1 kit #3 please! im in for kit #3 or kit #2 if out of kit 3 stock. thanks! 1 kit 3 for me please! Can I have a kit #2 please, if none left a kit #1, thank you. I would like one KIT 2 shipping to Germany, please. 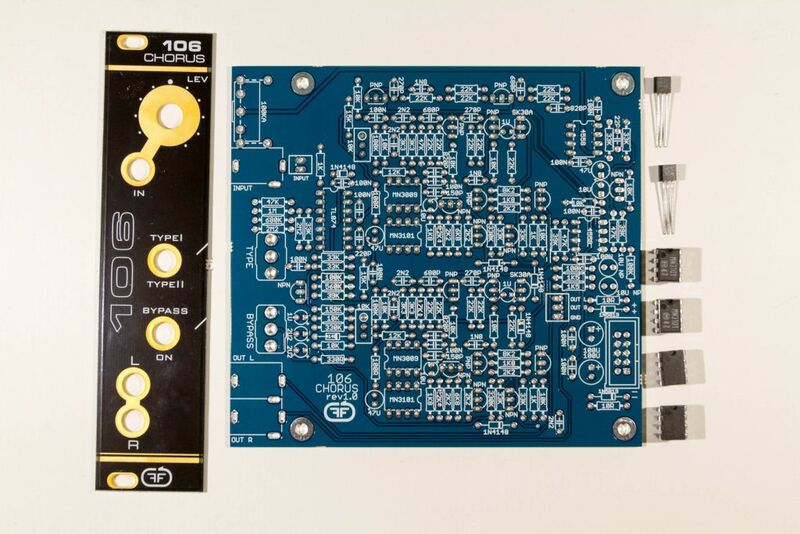 If I can't get PCB only, put me down for kit #1. I can always discard the panel, or just don't send it. 2 of kit 2 please. US ship. Great stuff! I would love to have a KIT1, shipping to germany! I'd like a kit 2! Great! Looking for something like this for a while. It is 117mm deep measured from the back of the front panel. Hi, not sure if any left but I'll be up for any kit that is still available, but given a choice i'd take kit 2 or 3, cheers!